This 2005 comedy feature film is an adaptation of the classic 1950s TV comedy series. In this version, New York bus driver Ralph Kramden, who was played by Jackie Gleason on TV, is portrayed by Cedric the Entertainer. Mike Epps plays Ralph's wacky best friend, Ed, and Ralph's wife Alice is played by Gabrielle Union. The plot of the film concerns Ralph and Ed's plan to buy a house in the suburbs together and the hijinks that ensue. The film was directed by John Schultz and received predominantly negative reviews from critics. It grossed $13 million during it run in theaters on a production budget of $25 million. 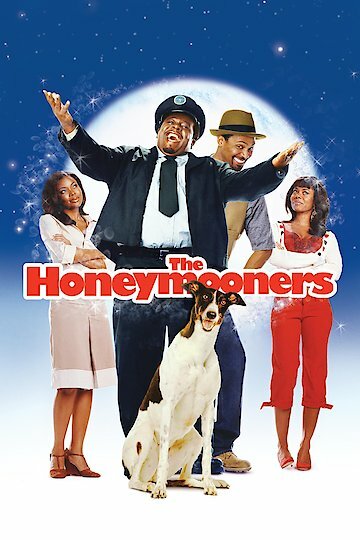 The Honeymooners is currently available to watch free on Tubi TV and stream, download, buy on demand at Amazon Prime, Vudu, Google Play, iTunes, YouTube VOD online.